Make yourself comfortable and enjoy! If you add this accessory to our slings you will never get off! They are made of leather and they are big enough to put your feet through even without taking your boots off. 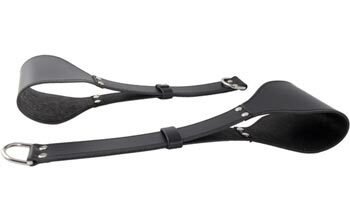 This Premium version is more comfortable as the basic version with wider straps where your legs will rest.